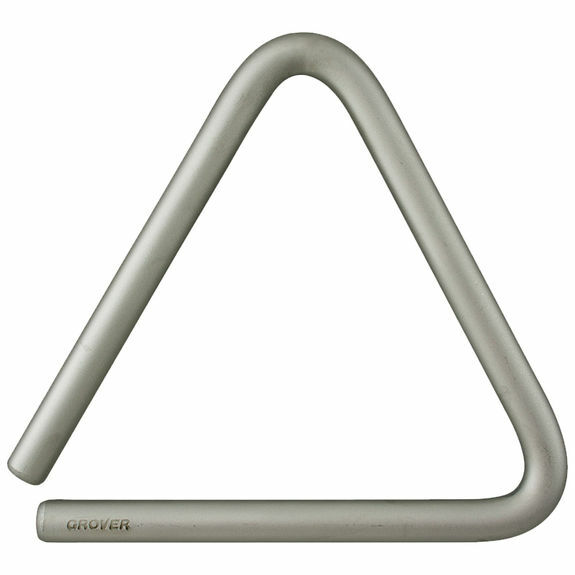 Grover Super-Overtone Triangles are a culmination of years of extensive research and experimentation. Each triangle is forged from a specially treated high-carbon steel alloy. The resulting wide spectrum of overtones coupled with an extraordinary dynamic range combine to give this triangle its characteristic sound. Unlike most triangles, the overtone resonance of this instrument will remain consistent throughout the expanded dynamic range. Abundant acoustic energy is produced by these triangles, eliminating the need to overplay. The microscopic Kanigen plating allows the highest harmonics to respond, yet it is more durable and longer lasting than ordinary chrome plating. Great sound, great price, small package. I've been using a 9" for decades that I love but I needed a smaller triangle to fit the DiSanza Triangle Trigger - I was thrilled at the projection I get from my new 6".